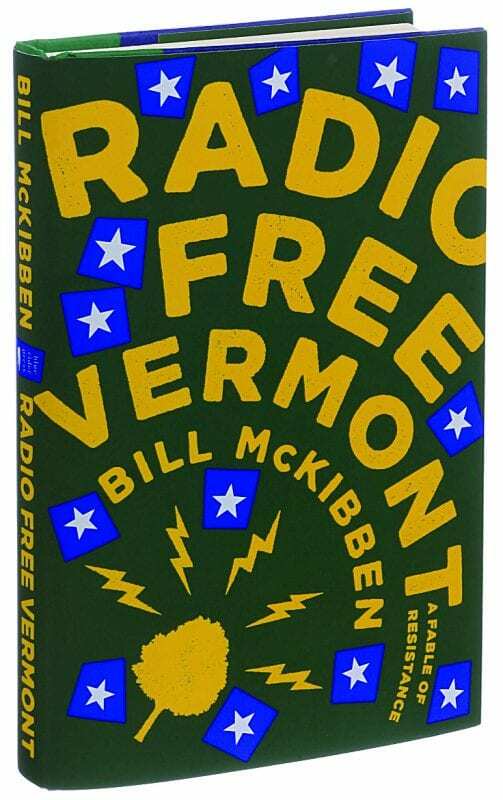 On the third page of Radio Free Vermont, Bill McKibben’s first novel, a Coors beer truck follows detour signs as it enters Vermont from the Crown Point Bridge. At the end of a long dirt road the driver is presented with a bag lunch (made with Vermont products) as people in balaclavas release the air from the truck’s tires, then dump hundreds of bottles of the “foreign” beer onto the ground. The apologetic activists also give the stunned driver a generous gift pack of beer selected from the fifty-one breweries in Vermont. McKibben—environmentalist, activist, and author—doesn’t worry about getting the facts right in his sixteenth book. He calls Radio Free Vermont a fable, and it’s also a laugh-out-loud farce that reminded me of Edward Abbey’s Monkey Wrench Gang. The main characters are revolutionaries who want Vermont to secede from the United States. (In fact Vermont, Texas, California, and Hawaii were once independent nations). These non-violent schemers include a seventy-two-year-old radio host, a young man with awesome computer skills, and a modest Iraq War veteran with an Olympic gold in the biathlon. Born in California and raised in Massachusetts, McKibben worked at The New Yorker after he graduated from Harvard in 1982. He left that job after five years and moved to the southeastern Adirondacks with his wife, Sue Halpern. In his 2013 memoir Oil and Honey McKibben writes that he fell in love with the wildness of the Adirondacks. “A child of the suburbs, I was knocked over by the contact with hot, cold, wet; it was no different than any other incandescent young love, except that it has burned on for years.” While living in Johnsburg McKibben published his first book, The End of Nature, a warning about the consequences of climate change that has been translated into twenty-two languages. Yes, beer has a central place in the book, preferably microbrewed and hoppy, and of course made in Vermont. And the jokes about “flatlanders,” or non-native Vermonters, flow freely. I liked the School for New Vermonters, run by a beautiful entrepreneur named Sylvia. She teaches new Vermonters how to drive on muddy roads, how to run chainsaws, and how to behave at Town Meeting. I grew up just north of the Adirondacks and after college worked in Vermont for a few years. I remember a new friend telling me that to understand the difference between New York State and Vermont it was useful to know that the population of the entire state of Vermont (now 625,000) is less than the population of the Syracuse metropolitan area (now 663,000). The difference in scale between the neighboring states is dramatic. But what about the Adirondacks? The year-round population here is only about 130,000, and we even have a few microbreweries. We have many of the same values as the revolutionaries in McKibben’s book in that we are content with being where we are and we don’t want outsiders telling us what to do. 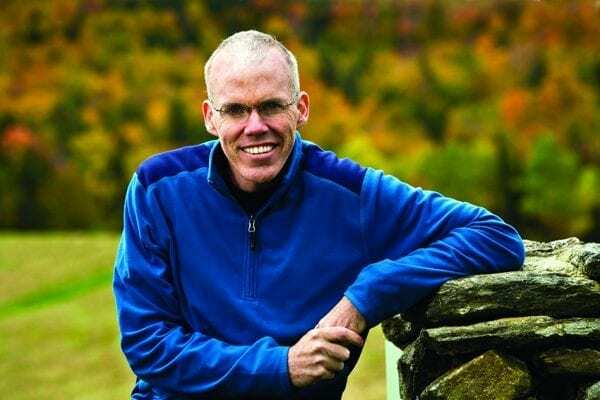 In 2000, when McKibben published Long Distance, his book about training as a competitive cross-country skier, he joked that he was taking a break from saving the world. I suspect Radio Free Vermont filled a similar need, especially after the Trump election. But here’s the truth about fiction—it can entertain while at the same time imagining a better future. In his author’s note, McKibben admits his fable isn’t really about Vermont’s secession; its moral is broader. When our leaders do stupid things, McKibben writes, “we need to resist with all the creativity and wit we can muster.” The characters in Radio Free Vermont are just crazy enough to be absolutely believable as they plan and execute their shenanigans. Kudos to McKibben for writing a big-hearted story about and for dedicated people who stand up to power in non-violent and civil ways.